If you read all that you’ve probably got a good idea of what I’m about to say – its really, really effective. Without a doubt, Aknedoron Lotion is the most effective spot treatment I’ve ever used. Sulphur is one of those ingredients that is commonly used for those nasty, painful, under-the-skin spots that never come to a head and just create a whole load of discomfort. So really, I see no reason why it wouldn’t work on acne. But don’t take my word for it if you have full-on diagnosed acne – ask your doctor! 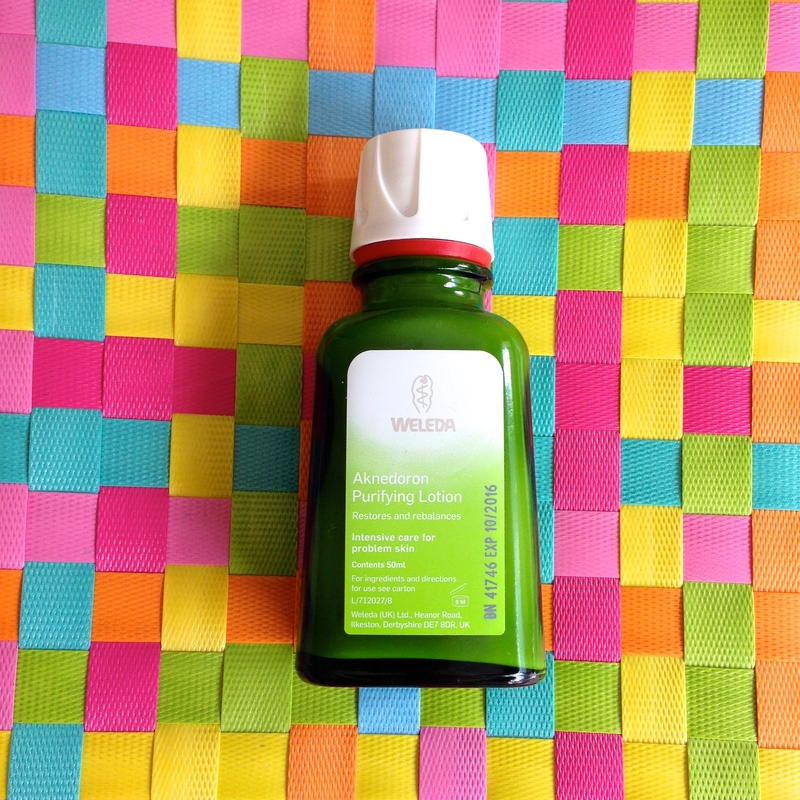 For general oily, problem skin or the occasional spot, it is perfect. I get the odd spot, and a couple of nasty red bumps a month. So, here’s how I use it. Wet a cotton pad with hot or warm water (I use really hot water because I feel like it softens a hard bump, and it opens the pores around a spot, but go for warm if you want to be gentle) and press it onto the area for about a minute. Stimulating the circulation before you apply Aknedoron Purifying Lotion just seems to make it work better, like opening the pores before washing your face. Shake the bottle of Aknedoron, and when you take the lid off there’ll be a layer of product in the neck. Scoop it out with a cotton bud, and apply it on and just around the affected area. Rub it in with the bud, and clean off any excess with the other end. If you get one of those horrible outbreaks where part of your face just goes to hell (my forehead likes to do this to me on occasion) this is also the perfect solution. Just cleanse and dry your skin like normal, then tip a bit out onto a dry cotton pad, and wipe it over the problem area. Moisturise the rest of your face like normal, but pay attention to how the problem area feels – remember that there’s jojoba oil in the Aknedoron so you might not need to use as much moisturiser there, if you need any at all. Aknedoron Purifying Lotion is available from Look Fantastic here, and if you want to try the accompanying cleanser, which smells amazing and is perfect for freshening up your skin in the summer as well as treating spots and blemishes, you can read about it here too. This entry was posted in Combination skin, Natural skincare, Oily skin, Skincare and tagged Natural skincare, skin problems, Skincare. Bookmark the permalink.